On Saturday, we told you about a Nokia Lumia 920 purchased by someone from eBay that was installed with an early version of Windows Phone Blue. We showed you the notifications center as well as changes to the calendar. When Microsoft saw the leak, they went on the offensive to purchase the phone back. Reddit user Chinaman28, who had purchased the phone, received his money back for the purchase from the Redmond based software giant, along with a new Nokia Lumia 920. As it turns out, Chinaman28 must have known that the model of the Nokia Lumia 920 in his possession should not have been sold in the first place as it had the letters "MSFT" laser etched into the back of the phone. That happens to be Microsoft's NASDAQ stock symbol. In addition, when booted up the phone, the words "Not for re-sale" popped up in red. The bad news is that the version of Windows Phone Blue seen on the handset was only an early model and the notification center has since been removed from later versions of Windows Phone Blue. There is no word on whether the weekly calendar view or the ability to close down apps from the multitasking view have survived to the latest iteration of the OS. Sounds like Google got its patent application for the notification center function allowed. Otherwise, why would MS have removed a notification function that looked oh-so similar to the Android notification function? Maybe Apple is going to have some problems in the not-so-distant future. Does iOS v. 7 remove the notification function? I think it's much more likely that Microsoft probably decided on a different implementation for notifications and removed this earlier version from their 8.1 iterations because they didn't feel like the new approach would be ready for 8.1. My guess at least. 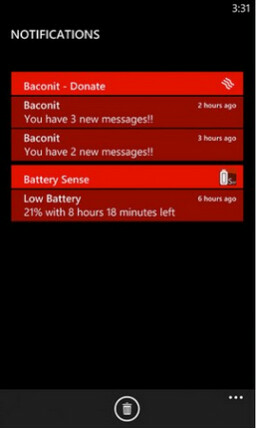 it's because windows got better live notifications, they have live tiles for that. 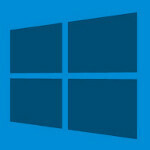 If you read it once more, it says that this is on a very early model of windows blue. If msft had really wanted to use that notifications, i don't think that they would have any problems using it, as notifications were also available on nokia's symbian, as well as on meego (n900), even way before android copied it. Damn the notification function was the only real thing well I was looking out for in later versions of wp, well back to android for me! Or may be they have something better for us? MS still have not done yet, they are still improving WP Blue. let's hope they bring lot's of features and customizes in WP Blue. The idea hasn't been crossed out yet, so it's anybody's guess. They might be still trying it out, just my two cents. Media hack, it's all advertisement. I am not sure if people realize that they can get the notification if they want to after all Android is open source so anybody can grab the source and do as they pleased with it. Regardless, if Microsoft actually spent the time to contact the person and was willing to buy back the device and offer a new 920 to the person, then the build should be similar to what Microsoft will be showcasing. Most companies don't bother with developer builds that have been sold on eBay. I would like to see that notification center. We'll see.